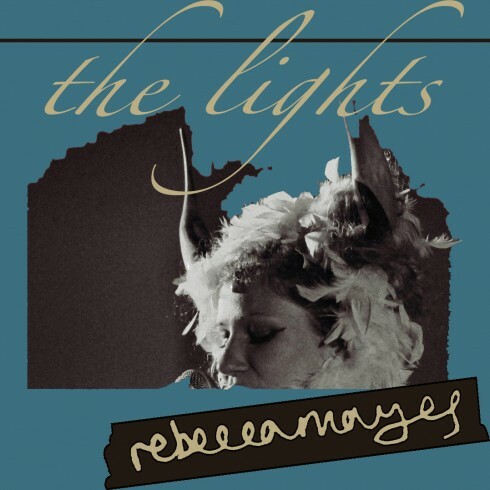 Rebecca Mayes ‘The Lights’ is now released as a single! A while ago here we posted the video to Rebecca Mayes’ song ‘The Lights’, her beautiful song written for the closing credits of ‘In Transition 2.0’ (the one everyone goes out after the film singing). I am delighted to announce that the song is today released as a single, and is now available via. iTunes. Here is what Rebecca says about it: “I’ve registered it with the UK charts so if enough of us buy it this week we’ll get into the top 40! If you’re outside the UK try and buy it through a UK distributor so it will count towards the charts. All proceeds go to the Transition Network. Tell your friends, family and local radio stations! Thanks so much for watching the video which has had over 3,000 hits – if you missed it first time you can check it out below. 4th June – Studio Lounge, Totnes (A Transition Town Totnes fundraiser). Rebecca had her first big break when one of her songs was used on Charlie Brooker’s BBC4 programme, Gameswipe. Best known until now for reviewing video games via the medium of song, ‘The Lights’ is a departure from these unconventional beginnings. Rebecca has recently been chosen by IC Music, a new music network of venues across Belgium, France and the UK, as one of 12 artists who will be given opportunities to tour in big venues across Europe. Rebecca’s just returned from her first gig in France where she supported Baxter Jury to a sold-out crowd. Rebecca will be performing locally at Totnes Studio Lounge on 11th May, Dartmouth Music Festival on 13th May and Exeter Phoenix on 16th May. She is currently recording a new album. ‘The Lights’ will be available to purchase from www.rebeccamayes.com and all major music download retailers on 7th May 2012. Rebecca Mayes grew up in a musical family and started writing songs at the age of 16. She moved to Devon to study Literature at Exeter University where she began to play her material live on the local gig scene. In 2009 she was offered an unusual job writing songs for The Escapist Magazine, a website who review video-games. Neither a gamer nor a critic Rebecca threw herself into the project wholeheartedly, juxtaposing nu-folk music with the latest blockbuster games. The resulting songs are subversive critiques on the violence and misogyny of video-game culture, albeit in Rebecca’s light-hearted and quirky style. Each song is accompanied by a video, shot and edited by Rebecca, who also recorded and produced all the music. The video’s are highly creative vignettes of Rebecca playing her many instruments dressed as various video-game characters, filmed against quaint Devon backdrops. Each song and video was created within a time frame of two weeks. Her gaming album ‘The Epic Win’ was reviewed in the Independent and the Observer, who praise her “wry wit and affectionate, informed voice”. Charlie Brooker commissioned Rebecca to write a song for his latest BBC program ‘Gameswipe’. She wrote him a sweet lullaby about the violent game ‘Madworld’ and sang it in a cornfield with scenes of the frenetic game spliced in between shots of her ukulele, blond curls and floaty dress. During the year and a half she worked for The Escapist she built up an impressive following and established herself as a singer/songwriter with innovation, imagination and intelligence, prepared to go a never-before-ventured route. She is most enthused about her new material for the forthcoming album. ‘It’s been a long time since I’ve been able to write purely from myself, without an external stimuli. I’m loving discovering what it is that I really want to communicate and seeing how my sound has developed.’ Rebecca is currently recording her new album and performing across Europe as part of the IC Music Programme. She lives in South Devon. just downloaded it, it’s beautiful, thanks. Wonder-full in creativity and light heartedness! And to top it off…meaningful lyrics. Good job!